Will there be weapons used? Will there be a stunt coordinator on set? Will there be speeding, skidding or car chase scenes? Will there be a precision driver hired? How will the pyro effect be achieved? Will there be certificates and/or permits obtained from the fire department? Will there be a professional pyro technician on set? If it is a dog, what is the breed? Will there be a professional animal handler on set? Will any effect be achieved in post production? Will you be filming with a drone you own? what is the replacement cost value of the drone? Will you be filming with a drone you rent? Total number of athletic participants? Will this include professional athletes? Are you the organizer or promoter of the entire event? Are you responsible for insuring the entire event itself? Are you providing filming and/or event services for the event? Have you had any prior entertainment / production insurance for your company ? What company did you receive the prior insurance from? Have you had any claims or losses in the last 3 years? IF YES, Please describe the claim, including the settlement amount. Will any production activities take place outside of the U.S.? Will your project have any stunts or hazardous activities including (but not limited to) stunts, fight scenes, motorized vehicles, animals, pyrotechnics, fire, watercraft, blanks, squibs, guns, filming above or under water, filming outside the continental United States, aircraft, helicopters, drones, sports activities, live hip hop performances, or live Electronic Dance Music performances? What is the total number of years of production experience (the owner of the company)? Will there be any unprotected or open heights above 15 feet? RENTED PRODUCTION EQUIPMENT Do you need to insure any rented or borrowed production equipment? RENTED PROPS, SETS & WARDROBES Do you need to insure any rented or borrowed props, sets, or wardrobes? Do you have any one item over $150,000 you are renting? IF Yes, what is the maximum rented equipment that will go above or under water? Where will the equipment be stored overnight? Will you leave production equipment in a unattended vehicle? Will you park all vehicles with production equipment in a secured location such as a gated parking lot or security guarded lot? Will you have a watchman, intrusion alarm or monitored Closed Circuit Television at your storage location? How will the equipment be secured? Do you need coverage for transit (transporting and/or shipping of equipment)? Will you ever take more than $25,000 total equipment to the country of Mexico? What Cities will you be going to in Mexico? How will the equipment be stored overnight when not in use? How will the equipment be transported to Mexico? Will you ever take the proposed covered equipment to a country with US Sanctions? Are all drivers at least 25 years of age ? What is the make and model of the vehicle(s) you are renting ? What is the color of the vehicle(s) you are renting ? How are the driver's history checked ? What is the maximum Replacement Value of one rented vehicle? What is the Total Replacement Value of all Vehicles you are renting? Where will the auto be garaged overnight? Have any of your drivers had any driving violations in the last 3 years ? How many vechicles will you be renting ? What kind of vehicle(s) are you renting? Where will the vehicle will be garaged overnight and how will it be secured? Would you like to add Worker's Compensation? How many are full-time ? Number of Cast Members and Crew Members, Full time and Part time, all can not be zero. NO GENERAL LIABILITY NEEDED By checking this box, I confirm I am not requesting any general liability insurance and will not need to name any entities or vendors as additional insured. GENERAL LIABILITY ONLY TO RENT EQUIPMENT ONLY By checking this box, I understand that I am requesting a quote for general liability insurance for the sole purpose to rent equipment and the liability associated with the equipment only. I understand that the liability is NOT going cover any other activity or liability associated with producing films, productions or events including obtaining locations/permits. GENERAL LIABILITY FOR LOCATIONS & TO RENT EQUIPMENT Liability for Locations & to Rent Equipment—By checking this box, I am requesting a quote for production liability insurance, Including location liability for film permits. This also includes liability to rent equipment. Excess liability adds additional liability limits on top of your general liability limit. For example, if you have a $1M per occurrence and $1M aggregate limit for general liability coverage, adding a $1M excess liability policy will provide a total coverage of $2M per occurrence and $2M aggregate general liability limits. Will this be a music video shoot or any filming of a musical performance? Will you ever rent any one location for more than 7 consecutive days for this project? Will there be any temporary structures installed/built for your project? Will any of your locations be a bar or nightclub? Will there be any constructing or sets being done by your production company or people you hire? How many total cast/crew members will there be for your entire production? How will the filming area be sectioned off from the general public? What measures will be taken to prevent damages to the shooting locations/venues? Please note that in applying for liability to rent equipment, you will also need coverage for equipment coverage for the gear itself. Currently this application does NOT include equipment coverage. Would you like to add Accident Medical Coverage in this policy? Number of Cast Members and Crew Members, both can not be zero. Are any above members currently covered by workers compensation ? Coverage CANNOT be CANCELLED once BOUND. Minimum Premiums and Fees are FULLY EARNED and NON-REFUNDABLE upon binding (ordering) your insurance policy. There may be an Additional Premium due for any changes made after the policy is bound. Coverage is only valid for ONE project. Multiple projects require multiple policies or one Annual policy, which must be quoted separately. Coverage is only valid within the United States. I understand that if I have international activities, I will have to purchase a foreign production policy. This quoted policies will not include Cast Coverage , Errors & Omissions (the Content or Media Liability of your Film/Project), or any other coverage that was not requested to be quoted on this application. 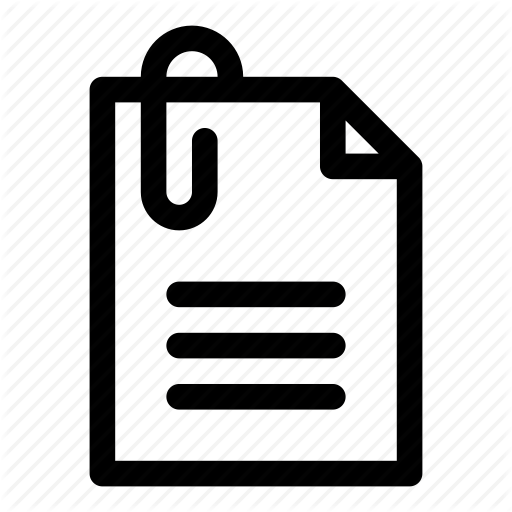 A field left blank will be assumed to mean that you do not want that coverage. A Broker Fee, Policy Fee and/or Administrative Fee may be charged by Athos Insurance Services for the placement and administrative services provided. All fee amounts will be listed and disclosed on the quote. This fee is fully earned upon binding coverage. I verify that all the information provided on this application is true and accurate to the best of my knowledge and that I have read and accept the terms above. Misrepresentation of information may make my coverage null and void. I understand that it is my responsibility to provide Athos Insurance with any insurance requirements I have signed or agreed to, before purchasing any policies. I acknowledge that failure to provide Athos with these requirements may prevent me from receiving the most proper insurance policies and can result in additional premiums due to satisfy requirements after policies have been purchased. Due to information being completed in the stunts section, workers compensation, accident medical coverage may not be eligible. When we review your application, our Athos Team member will confirm if this coverage is available. Since your production will only be taking place outside the US, we will have to quote this with our foreign production insurance program. Please continue to complete this application for your US production activities only (i.e Gross production costs for scenes filmed in the US). Upon submitting your application, we will email you a separate foreign production application for your foreign/international production activities.